Huawei nova's retail box is quite good looking, hinting for a premium phone inside. Once you slide the nova out, you gain access to the 5V/2A charger, the USB Type-C cable, and a pair of EarPods-like headphones - all packed in separate paper boxes. 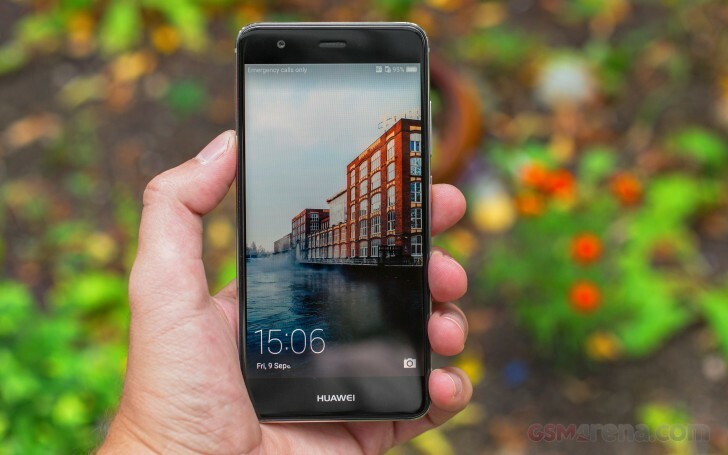 The Huawei nova spreads at 141.2 x 69.1 x 7.1 mm, which is 4mm shorter than the P9. The phone weighs just 2g more than the P9 at 146g, a rather lightweight construction for an all-metal smartphone. From the very first time your eyes land on the Huawei nova, you just can't help but fall in love with the phone's design. The aluminum unibody and the beautiful way the screen just curves to the sides ever so gently quickly suggest that Huawei means business and is eager to win the midrange beauty pageant if there were ever one. Beauty may be a subject of personal preference, but certain traits are universally accepted as being pretty, and the Huawei nova ticks most of them. The company has apparently drawn inspiration from the Nexus 6P and at the back there's a similar dark glass around the camera lens spanning the width of the phone. This also doubles as an antenna band. A second plastic strip at the bottom covers the second antenna. The front 2.5D black glass nicely ends into the frame's chamfered accent. A second chamfer separates the edge from the back and improves the handling on the otherwise slippery nova. The fingerprint scanner on the back has been matched with the rest of the looks and features the same paintjob as the aluminum on the back. 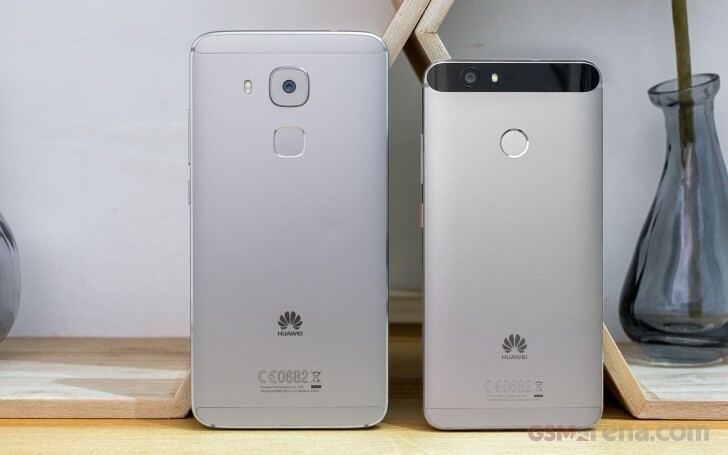 Huawei chose the same circular shape for the sensor, as it was the case with the Nexus 6P. The Huawei nova was made of airplane-grade aluminum, which means it's both sturdy and lightweight. Handling the Nova feels great - it's indeed not only compact, but light, and beautiful. Even though it's a mid-range smartphone, it has the looks of a best-selling flagship, and that says a lot. One-handed operations, as you can imagine, are possible all the time on the Nova thanks to its compact 5" screen. It slips easily in every pocket or purse. In a market overcrowded with phablets, we have to appreciate the beauty of the mid-sized mid-ranger. Above the 5" 1080p display is the earpiece accompanied by an 8MP selfie snapper and a couple of sensors. A subtle notification LED is also around. There is nothing below the screen but the Huawei logo. The left side is where the hybrid card slot is. It can either accommodate two nano-SIM cards, or you can swap the second one for a microSD card. Sure, it limits the options, but at least you have options, right? The volume rocker and the power key, both made of metal, are on the right. The top houses the audio jack and the second mic, while the bottom has the USB Type-C port and a nicely cut grille hiding the primary mic and the loudspeaker. Behind the nice looking dark glass at the back lies a 12MP camera with a f/2.2 aperture, 1.25μm pixel size, hybrid autofocus, PDAF+ contrast detection, and accompanied by a single LED flash. It even records 4K video. The always-on fingerprint sensor is below, it's very fast and accurate, and Huawei's solution is our favorite so far.